Digging into a grave in an ancient ruin in Belize, archaeologists found a gem when they unearthed an old jade spoon. 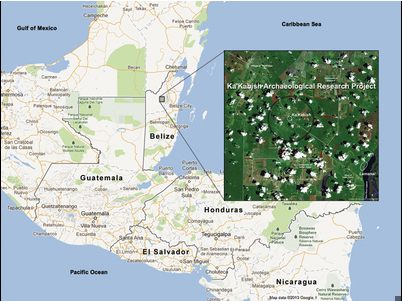 In north-central Belize, researchers are discovering what was once a dynamic city, Ka'Kabish. Now enshrouded by a collection of mahogany, ceiba and allspice trees, along with cohune, majestic palms and a host of smaller plants, it's home to a range of animals including howler monkeys, and a wide variety of butterflies and birds, including toucans and hummingbirds. It used to be a home to the ancient Maya. Here, Dr. Helen Haines, assistant professor of anthropology at Trent University Oshawa, is the director of the Ka'Kabish Archaeological Research Project. "I'm fascinated with them because they give us a lot of insight into how our own states are formed," she said of the Maya. Dr. Haines initiated the project in 2007, allowing students to see a site before large-scale excavations and restoration take place. The field work is open to both undergraduate and graduate students from Trent and other universities. In June, as the team dug into a grave beneath the Ka'Kabish plaza that's at least 2,700 years old, a student from the University of Toronto unearthed a jade spoon with 16 other jade artifacts. The six-centimetre object has three depressions and is often referred to as an Olmec spoon. Tests should soon determine if the grave is from a period even earlier than 600 to 800 B.C., said Dr. Haines, as carbon samples will give a better idea of the time frame. The spoon remains in Belize. "There was no need for us to export it," said Dr. Haines. "It belongs to the people of Belize." 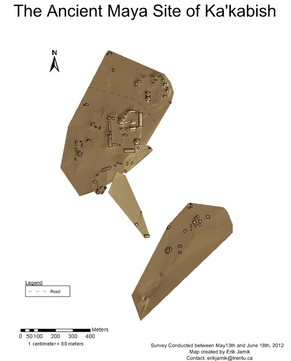 Similar objects have been recovered in Mesoamerica, but Dr. Haines explained this is one of only two spoons of this type that have been found undisturbed. Others, which are displayed in museums, are largely from private collections, and thus lack the archaeological details needed to understand how and when they were used. "Ours is in this burial with this beautiful necklace," said Dr. Haines, who added this was evident as the spoon was found with dozens of beads. This, coupled with the location of the grave, indicates the person buried there could be one of the city's founders. "Definitely they were of considerable status," she said. What the spoon was used for is difficult to tell, but she hopes the find will help draw a better picture. Some researchers say they were used for snuffing hallucinogens or bloodletting or even weaving. As the research in Ka'Kabish continues, Dr. Haines also hopes to get a better picture of how important the people might have been and at how early of an age. Little was known about Ka'Kabish prior to the start of the research project, but this find and others indicate it was a dynamic and independent city for most of its history.